My Lettuce are almost 12 days old after transplant. I love those plants, extraordinary growth… I wish i was there Goutham. 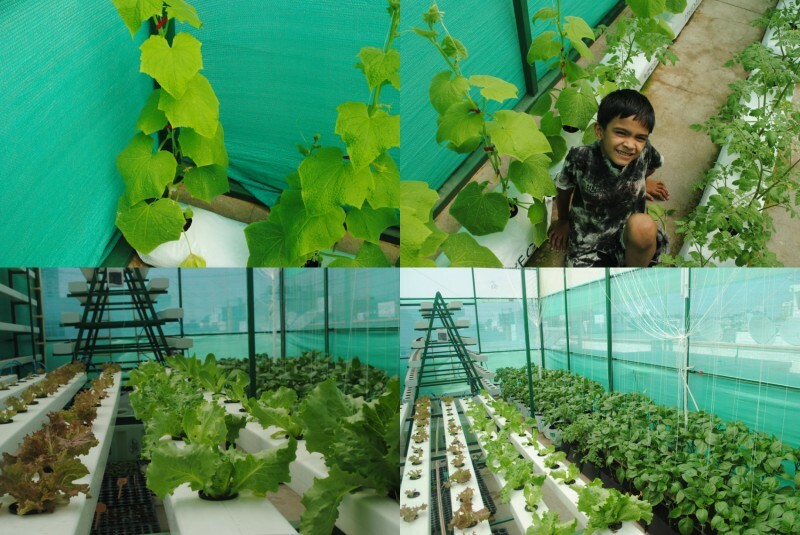 How many in Bangalore are interested in Hydroponics ? Planing for a weekend activity in my green house. Thank the forum for the wonder platform for all farmers and Enthusiast . Hearty Congratulations for your Achievement through Vigorous efforts with Commitment. 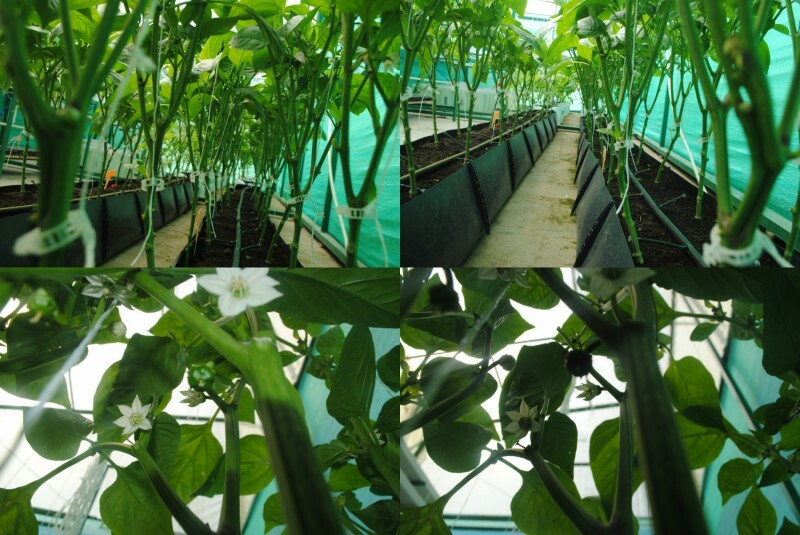 I have Posted for the Seminar/Training Programme on Hydroponic Farming. But I have not received response .Hence I have decided to acquire knowledge on Hydroponic Farming from You. kindly provide us some in the month of March. Kindly provide us time and inform me the Number of Days to be spent in Bangalre for this Training. Good going on the thread! And if you have not noticed, congratulations on turning into a ‘FarmNest Senior’ too! Wonder full feeling ! can not explain by words. Good luck Goutham, you are doing excellent job and motivating many people like me and others who interested in agriculture and new technologies in agri. I have been following your thread very keenly and I am very impressed with what you are doing. Congratulations. I just want some information regarding the grow bags you have used, where can I procure some? I live in Hyderabad, if it is not too much of a bother please send me a mail. My mail ID. george_oo@yahoo.com. I got them for 150 each but depends on how much quantity u would need i can suggest you, if u need in large u can buy from manufacturer else they do not entertain. In large quantity i guess u will get at 70/- per grow bag. long time! how are the plants? Can you go through please why the tomato is not going vertical, they should be grow in vertical isn’t it? When i saw in videos, normally these tomato grow in vertical and have a bunch of vegetables. .Again check the weight of the grow bag after watering. Water the same quantity. before adding pusa gel and after adding pusa gel. you can reduce this quantity in irrigation ,So that your run to waste will minimize and hydro gel will also hold the nutrients and provide to roots as and when required. Yes Bhanu, these are short term crops say 3 - 4 months, but still they grow tall that’s why i have used thread to train them. some more pics Broccoli and cherry tomato along with cucumbers all three are 43+ from SEED. 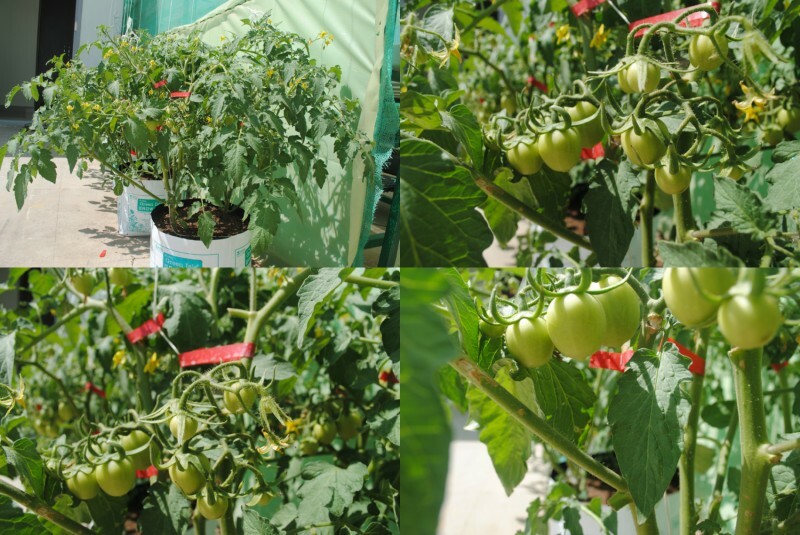 Missed to say on my previous post the tomato plant with Fruits on them are not inside my green house or shade net ,they are in open area,Which mean hydroponics can also be farmed in open condition. Fantastic growth, I think it is feasible and affordable solution for the urban people who interested in healthy living. Kindly permit us to visit your Unit at Bangalore.I am interested to Establish a Unit on my Terrace on my House in Hyderabad. After getting Experience ,I will expand this system to my Farm Land . Kindly permit me to meet you and for getting the Knowledge required . Kindly Permit sir.